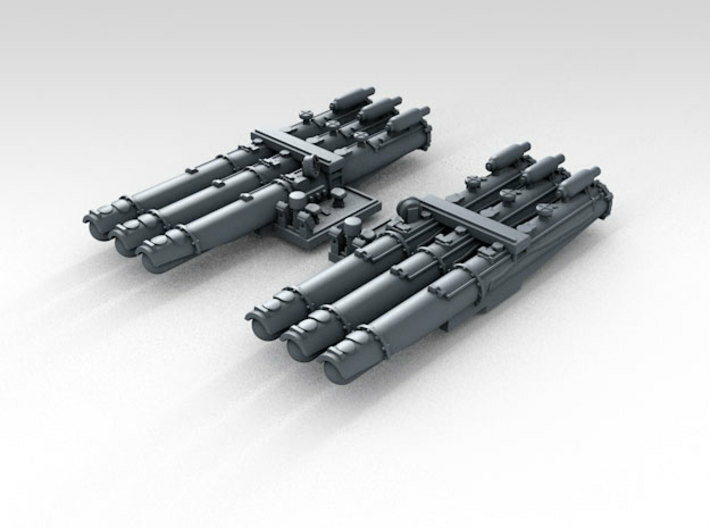 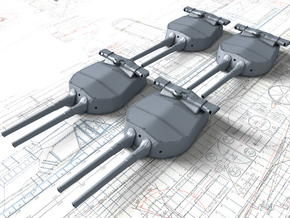 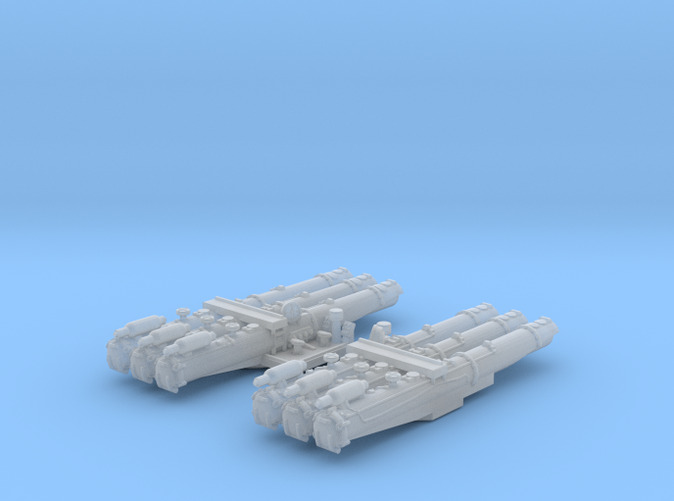 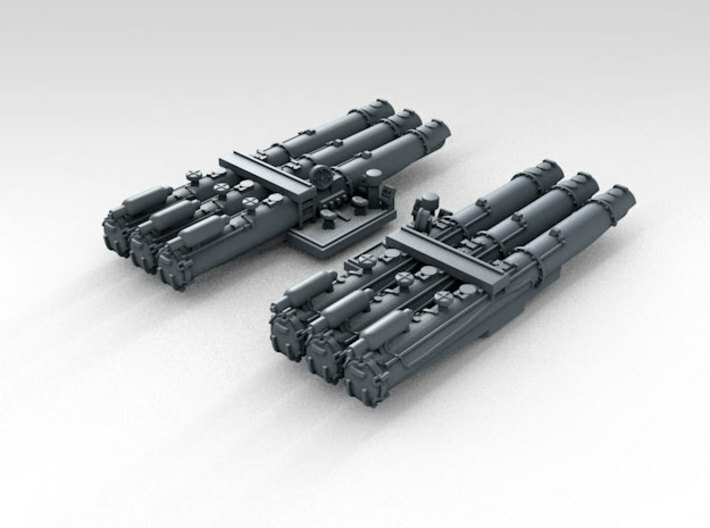 This is a highly detailed set of 2 1/600 WW2 RN 21" Triple Torpedo Mounts (Port and Starboard). 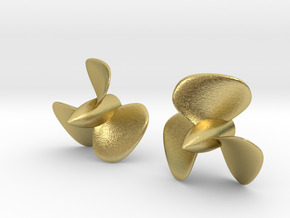 This set is ideal for a wide variety of WW2 Royal Navy Cruisers and Destroyers. 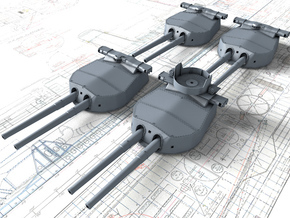 Perfect for the Airfix 1/600 HMS Suffolk or HMS Belfast. 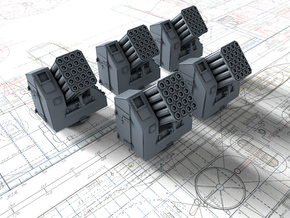 Highly detailed models based on plans and historical reference.